Maradona, who has rarely been out of the headlines throughout the tournament, claimed Colombia had been victims of “monumental theft” as he stuck the boot into the performance of the officials. Geiger awarded England a penalty after Carlos Sanchez fouled Harry Kane on a corner – a decision that particularly angered the 57-year-old South American. Fifa hit back at Maradona and described his comments as “entirely inappropriate and completely unfounded”. Now the 1986 World Cup winner has attempted to build bridges with officials. Maradona confirms he is supporting Colombia tonight in World Cup match against England. 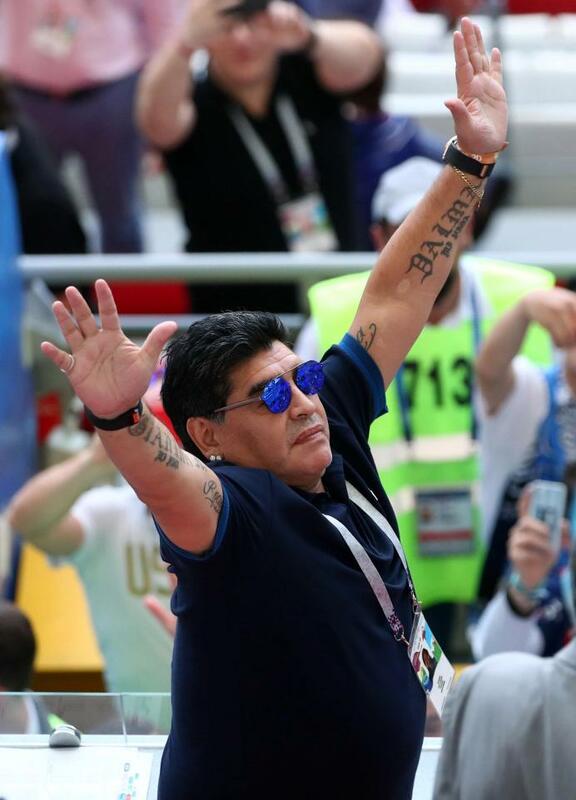 Maradona wrote on Instagram: “Taken by the thrill of cheering for Colombia the other day, I said a few things and, I admit, some of them are unacceptable. My apologies to Fifa and its president.